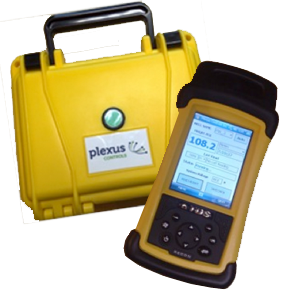 Enable field staff to take measurements from preconfigured sites with depth measurement tubes already installed, avoiding well cap removal and exposure to potentially harmful gasses. No false readings due to foaming or contamination asociated with traditional electrical tapes. Customers report they can take wellfiled measurement in half the time previously taken and with fewer errors. Using an internal air compressor, the system pressurizes a hose installed permanently inside the well and calculates water depth from the pressure (or differential pressure) value. A GPS interface provides automated site location and logs water level height, well name, location and time and date. Last reading displayed as a basic sanity check including alarm features such as hose connection integrity and blocked hose helps to identify any fault condition with the measurement.